Meraja journal is a peer review journal published by Research institutions and community service, The P3M Stia Al Gazali Barru and Meraja media. The aim of the Journal is to facilitate scientific publication of the results of researches in Indonesia and participate to boost the quality and quantity of research for academics and researchers. Journals is a journal that contains the results of research or comprehensive literature review in the fields of legal studies and social science. -Frequency: published online two times a year in Juny and Decemberber. published Frequency: published online two times a year in Juny and Decemberber. peer reviewed open access academic national journal of legal studies & social science and this is independent of its kind that inspires up-to-date research endeavour from research territory, latest deliberation, artistic trend, cultural nuances, cross cultural exploration and subsequent innovation of subjects concerned. Meraja journal adalah suatu media persemester yang diterbitkan Meraja Media bekerjasama dengan Pusat Penelitian Dan Pengabdian Kepada Masyarakat ( P3M ) Stia Al Gazali Barru,sebagai upaya mempublikasikan ide dan gagasan mengenai ilmu Hukum dan ilmu Sosial.Meraja journal ditujukan bagi para akademisi dan praktisi,serta pemerhati dan penggiat hukum dan ilmu sosial.Sebagai jurnal pada umumnya,Meraja journal tampil dalam format ilmiah,sehingga tulisan yang dikirim untuk dimuat dapat memenuhi ketentuan tulisan ilmiah. Editor of the Meraja journal is responsible for taking decisions manuscripts will be published in the Meraja Jurnal . The editor can be guided by the policy of the editorial board and constrained by the requirements of applicable laws regarding defamation, copyright infringement and plagiarism. Editors can discuss with other editors or reviewer in making this decision. Authors retain copyright and grant the journal right of first publication with the work simultaneously licensed under a Creative Commons Attribution-NonCommercial-NoDerivatives 4.0 International License. that allows others to share the work with an acknowledgement of the work’s authorship and initial publication in this journal. The author(s) of each article appearing in this journal is/are solely responsible for the content thereof; the publication of an article shall not constitute or be deemed to constitute any representation by the editors/International Journal Corner/ Meraja Journal of legal Studies & Social Science/meraja media group that the data presented therein are correct or sufficient to support the conclusions reached or that the experiment, design or methodology is adequate.Editors/National Journal Corner/The Meraja Journal of legal studies & Social Science/ meraja-media group/anyone else shall not assume any liability or responsibility for the accuracy, completeness, or usefulness of any information provided in the Journal Corner/ Meraja Journal of legal & Social Studies (in printed, web or any other format) and shall not be liable for any direct, indirect, incidental, special, consequential or punitive damages arising out of the use of published content in National Journal Corner/The Meraja Journal of legal & Social Studies. Facts and opinions published in Journal Corner/The Meraja journal legal & Social Studies express solely the opinions of the respective authors. Editors/national Journal Corner/ Meraja Journal of legal Social Studies/meraja media Group is not liable for the views represented in the papers regarding caste, racial, gender, sexual orientation, religious, political or other controversial issues and its solutions prescribed by the authors. 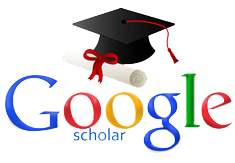 Authors are responsible for their citing of sources and the accuracy of their references and bibliographies. It is the responsibility of the authors to seek copyright clearance for any part of the content of the articles. The editors/national Journal Corner/ Meraja Journal of legal & Social Studies/meraja media group cannot be held responsible for any lacks or possible violations of third parties’ rights or any consequences arising from the exercise of information contained in the journal content. For a legal & Social Studies journal, drenched with an International flavour, knowledge exposure always means a proper penetration in every strata of the academic body at large. The journey of ‘Meraja journal’ has always been a success with our authors’ & readers’ assistance and mutual understanding . Your favourite journal ‘ Meraja journal’ now endeavours to encompass all possible subjects as well as its intent, depth and wings of learning in a two-pronged plan. For an extensive promotion of research and innovation, ‘Meraja journal’ welcomes erudite professors, professionals, research scholars to collaborate with us in a two-dimensional way as either an ‘Editorial Advisor’ or a ‘General Member’. Please send a request mail to mukmintomy48048@gmail.com with your updated resume. We will get back to you by 1-2 weeks. With the advent of globalization, the worldwide research community has come under a central umbrella. The research area is consequently enlarged and diversified. But, in alliance with it, there has been little number of central archive where versatile research findings are sequenced for the authors and patronized by the readers. This is time to zero in the dissemination of knowledge from a single global interface. With a view to stimulate research works and collect and juxtapose the dispersed items, ‘THE Meraja journal’ addresses to the worthy professors/professionals/researchers/students to tie the knot with their much- desired journal as a member.